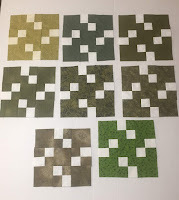 "Glittered" Nine Patch in dark/sage greens are done -- Fall colors are my favorite, so I had several greens to choose from. Looking forward to putting the rainbow quilts together. Also finished a small table runner for my daughter in law, Rachel, who just received a promotion at work. I am so blessed to have this young lady in my life -- and she loves Fall colors too. 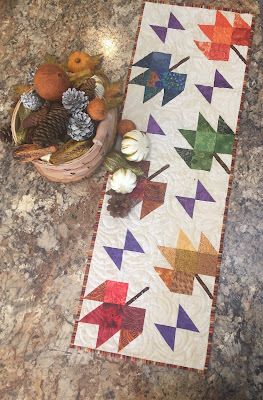 Linking with Confessions of a Fabric Addict and So Scrappy, 2018 Rainbow Challenge. 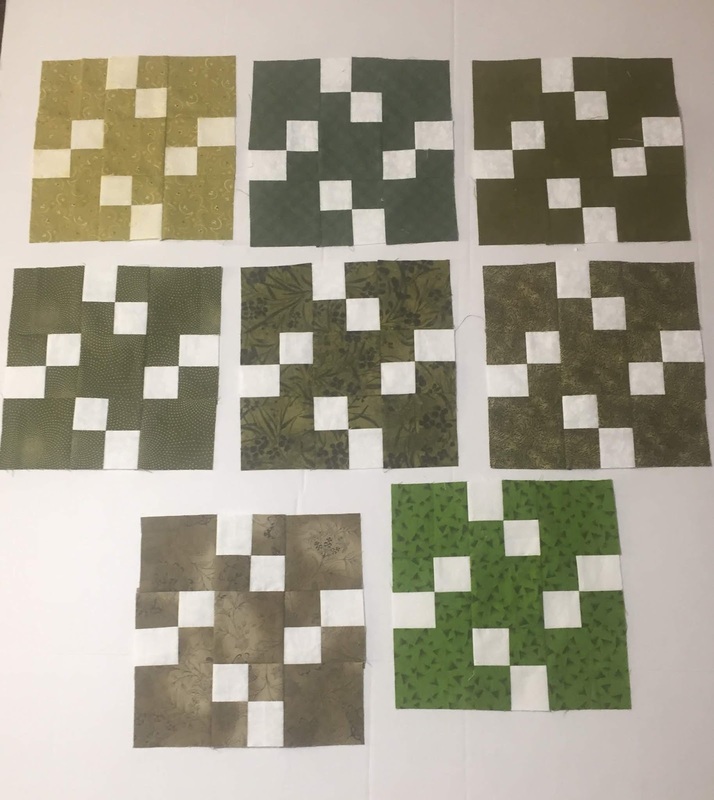 Beautiful green blocks, and lovely table runner! Congratulation to Rachel for her promotion! Fall is my thing too, your leaf table runner is scrumptious! What a wonderful gift in honor of your DIL's promotion at work! !